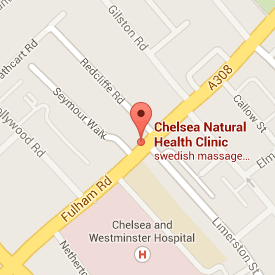 Medical Doctor and Homoeopath (MBBS, RSHom) at Chelsea Natural Health Clinic, Fulham Rd SW10. Homeopathy is an effective system of healing which assists the natural tendency of the body to heal itself. Dr It recognises that symptoms of ill health are expressions of disharmony within the whole person and that it is the patient who needs treatment not just the disease. Homeopathic remedies are drawn from the natural world and prescribed on the principle of treating like with like or the way of similars. I am fluent in both Spanish and English so if you have any questions or wish to book an appointment please contact me 02073523087” or 07950903332 or use the form to send an email.